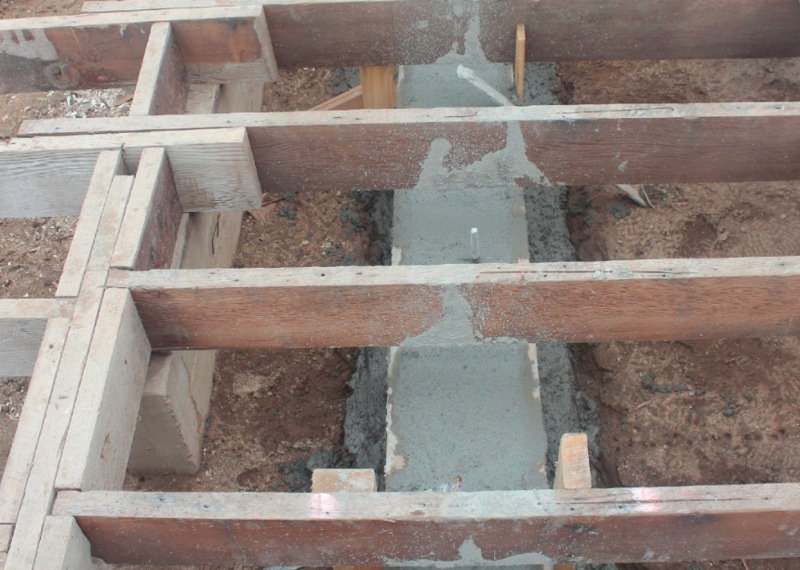 The site is ready for concrete—and rain is in the forecast—so it’s time to hustle for the big pour. On the appointed day, a mixer and a pumper arrive, along with a crew ready to handle the wet stuff. The whole thing requires well-organized, fleet-footed choreography by an experienced team. This is no time for last-minute changes, poorly built forms that might leak or burst, or a sloppy, lackadaisical crew. Truck drivers are under the gun to deliver their load within a prescribed time, pump operators must keep a wary eye out for blockages—pressures are in the range of 600 PSI, so a blocked-and-blown hose could throw material dangerously sky high—and no one wants to deal with an errant concrete spill. 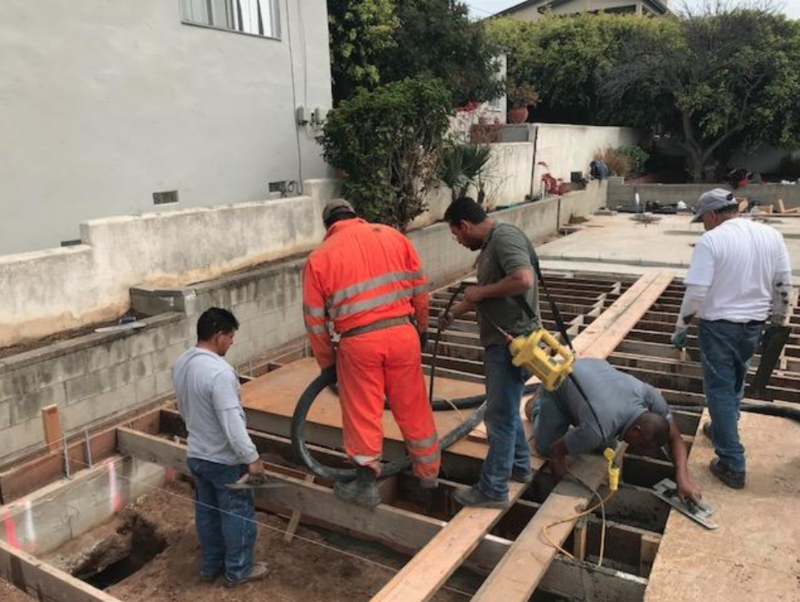 Since the new, larger footings are beneath the existing foundation and in some instances they extend laterally underground, it’s important to be sure the concrete completely fills every nook and cranny and no air pockets are left. It takes an eagle eye—and a vibrating wand—to get the job done.